You’ve probably heard about it but could potentially have no idea just what the heck everyone is talking about when they mentioned Real Debrid. 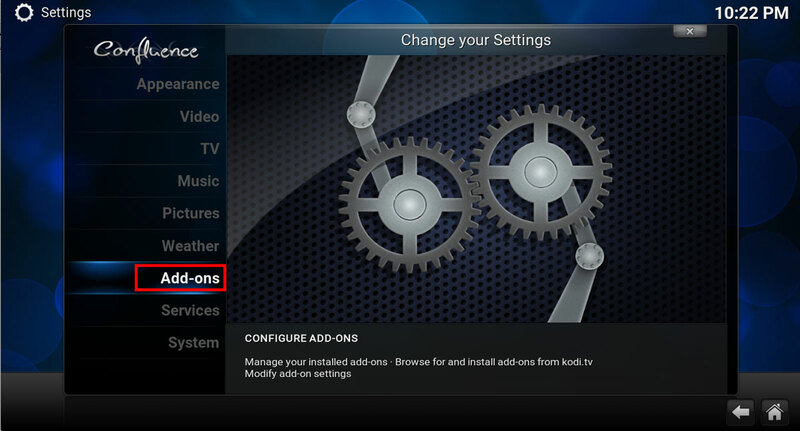 I’m here to help those newcomers out with explaining what exactly it does and why you should be using it in your Kodi setup. Chances are if you’re reading this or have visited this site before you’re familiar with using plugins and addons like Genesis, Velocity, SALTS, and now Specto. 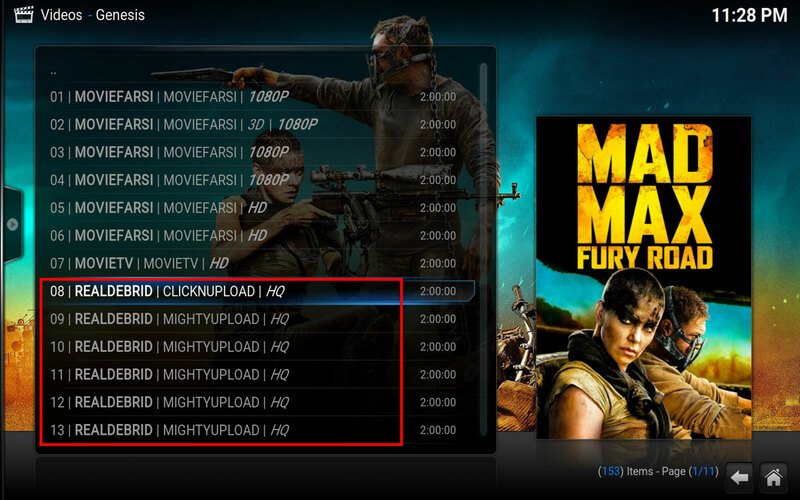 Now wouldn’t it be nice to use those addons with little wait or buffering when streaming? Real Debrid can help solve just that. The plugins mentioned above do a wonderful job of streaming content and are just a handful of the many out there. 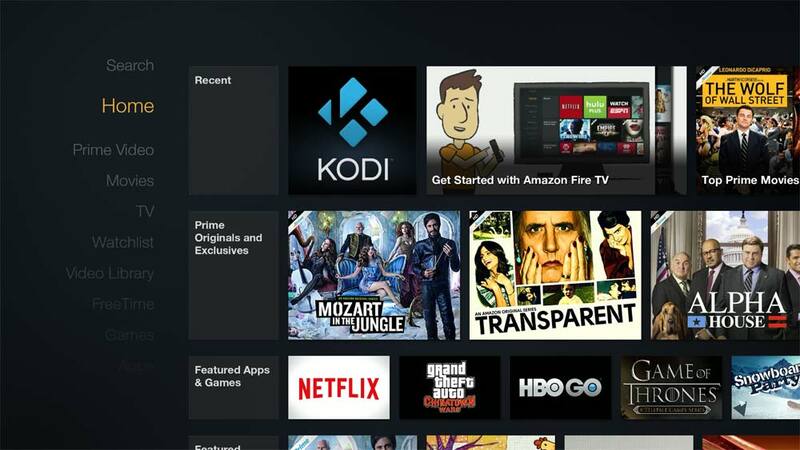 Most stream from the same sources and with the hundreds of thousands (most likely millions) of Kodi users hitting these same sources it results in slow downs, buffering, and take downs from the DMCA. 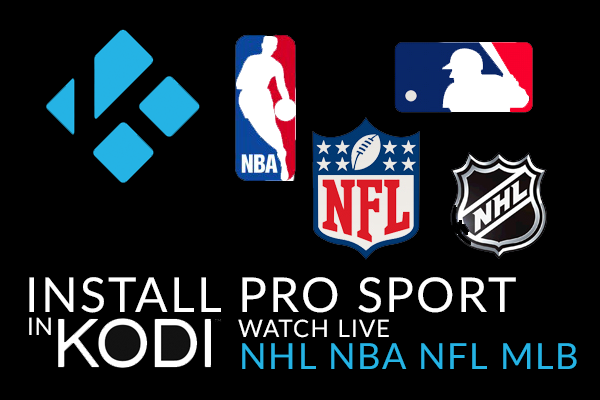 The solution to a more reliable Kodi streaming setup is to use Real-Debrid. Real-Debrid simply provides you, the user, a better and more reliable list of streaming sources that aren’t being as aggressively hammered from the millions of free users out there. This results in better/faster streaming even from the worst of internet connections. Not saying 1080p will work for everyone, but it should greatly improve the chances of it. 1.1 Installing Real Debrid in Salts, Velocity etc. There is essentially two parts to this, the first way I’m going to show you is through some of the newer addons like SALTS (Stream All The Sources) and Velocity. 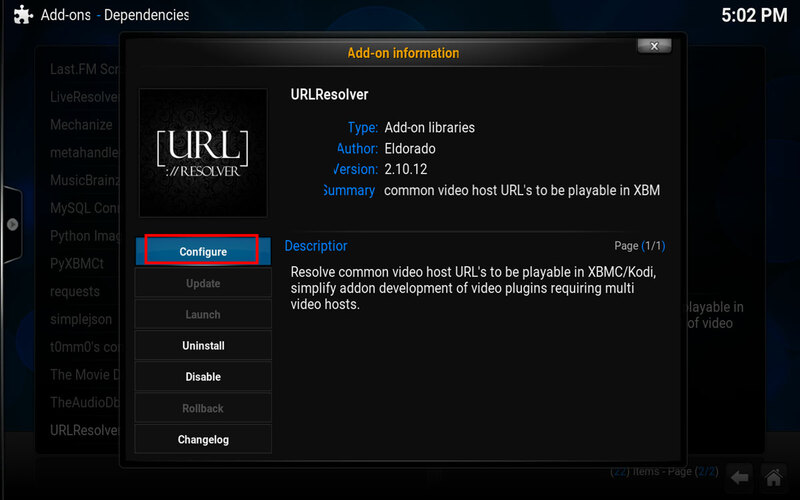 With the announcement that Genesis for Kodi is no longer being supported plugins like SALTS, Velocity, and Specto have begun to take over. Despite Genesis being no long developed I will show you how to integrate your Real Debrid account into it as it continues to function as of today. 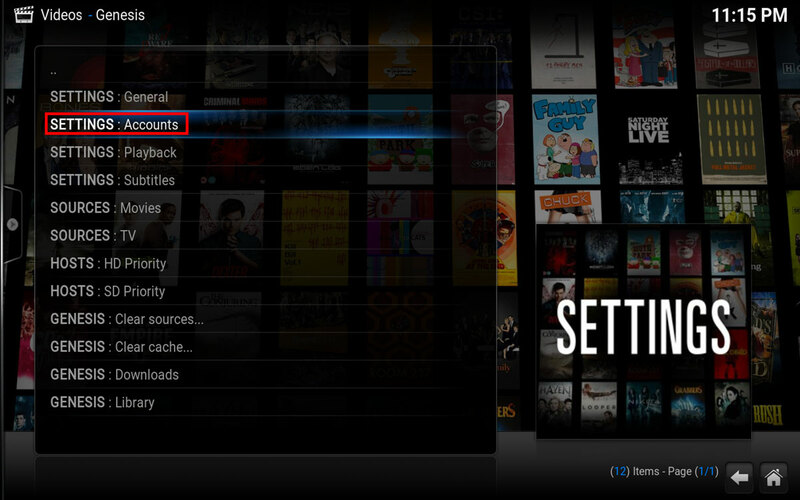 This method also works with an addon called Specto, which is a fork/clone of Genesis. Installing Real Debrid in Salts, Velocity etc. First things first, here is what you’ll need. The installation of one of the plugins mentioned above. There are other plugins that work with Real Debrid but to keep this simple we’ll use one of the more popular ones. To get started on installing one of the plugins follow our guide on how to install Fusion. Next up you’re going to need a Real-Debrid Account. 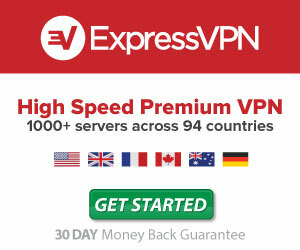 Keep in mind that this is a premium service but the price is so incredibly cheap you’d be silly not to at least try it. Packages range from 3-16 Euros (not monthly, based on a set number of days). For 3 bucks you can try it out for 15 days. 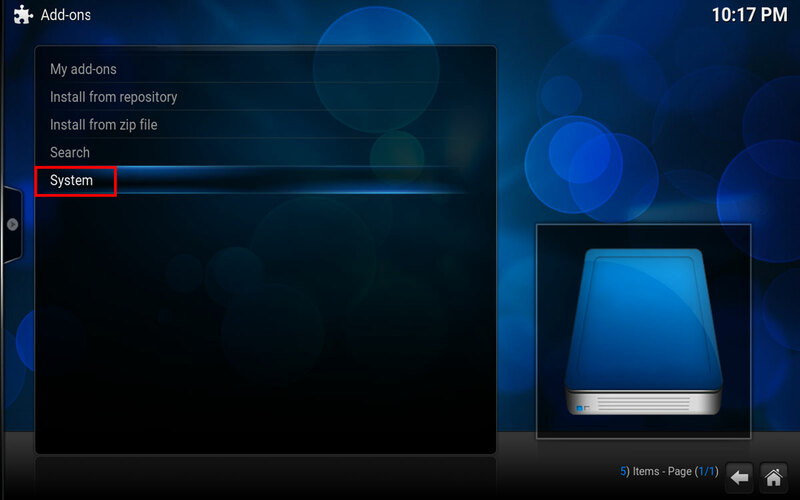 Now that we have what we need to get this up and running let’s setup Real-Debrid inside of Kodi. 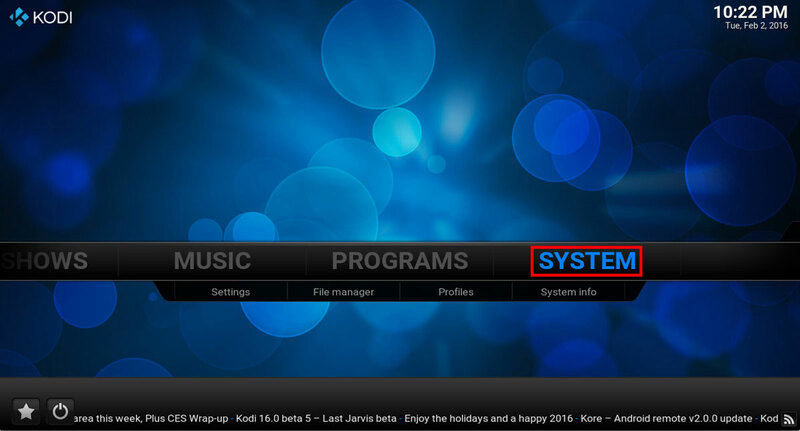 Open up Kodi, scroll to the SYSTEM and hit enter. Unlike normal, this time we want to go down and select SYSTEM. Inside of the System sub-menu, choose DEPENDENCIES. Scroll down to URL-RESOLVER and hit enter/select. You’ll be greeted with the url-resolver popup. From here simply select CONFIGURE. We need to configure our Real Debrid Settings. Scroll over to UNIVERSAL RESOLVERS and scroll down until you see REAL-DEBRID. Enter in the information like the image below, we want to change Priority to 90, Make sure it’s Enabled, and Finally make sure “I have a real-debrid account” is enabled as well. Click OK to save your changes and we’ll move onto the next section. 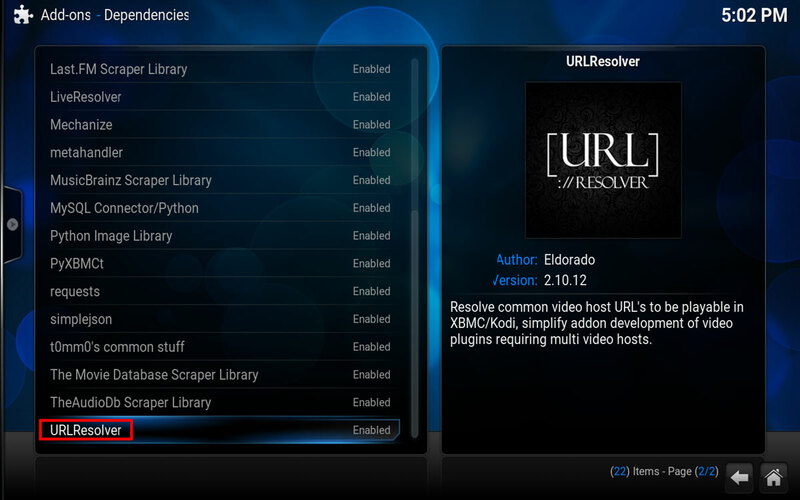 Now that we have Real-Debrid enabled in Kodi we need to authorize it from using one of the add-ons. This will work the same way for SALTS or Velocity. In this tutorial I’ll show you how to enable it for Velocity as there are numerous tutorials out there already showing the same steps for using it with SALTS (keep in mind these steps will work pretty much the same way with either plugin). 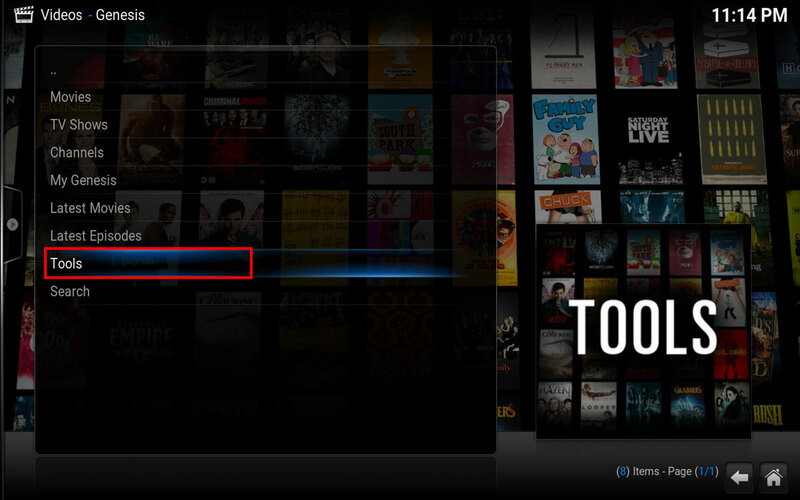 From our Kodi home screen browse to VIDEOS and then select ADD-ONS from the sub menu below. Inside here choose one of SALTS or VELOCITY. Basically we want to get something to scan sources and choose a Real-Debrid url. 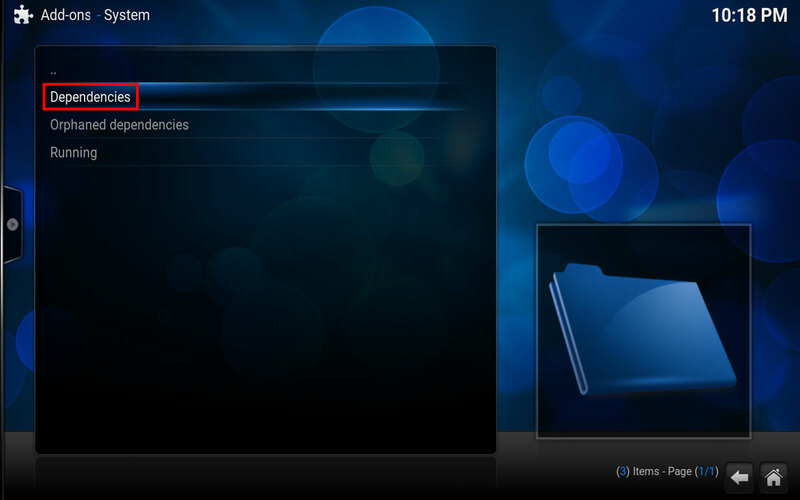 To do this find some content by browsing into the Movies/TV Shows folders and choose something to watch. Either addon will scan the sources and eventually provide a list of sources you can use to watch. In SALTS those sources will be highlighted green with the words (REA) beside them. In Velocity you should see Real Debrid sources with with the words [‘RD’] in orange beside them. When you select one of these sources for the first time we’ll be prompted with the authorization box. 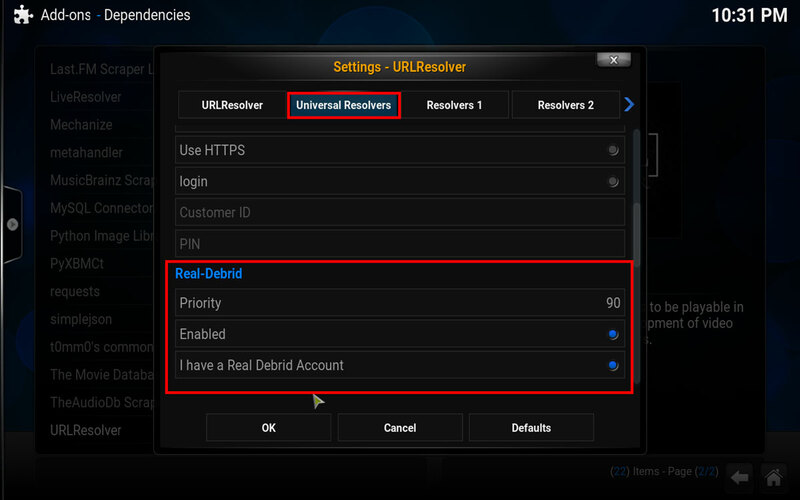 It will ask you to visit the URL “https://real-debrid.com/device” and will also provide an authorization code which you should write down (I’ve blurred mine for security purposes). You should now be given the option of choosing Allow or Deny, choose Allow. Wait for it to give you the notification that the application was allowed and your content should now start streaming from within SALTS, Velocity, 1Channel, and more from Real-Debrid Sources. Now that we’ve got the right settings setup for Real-Debrid and we’ve configured it to work with other addons let’s take some time to implement it with Genesis (or you can use the exact same steps for Specto). 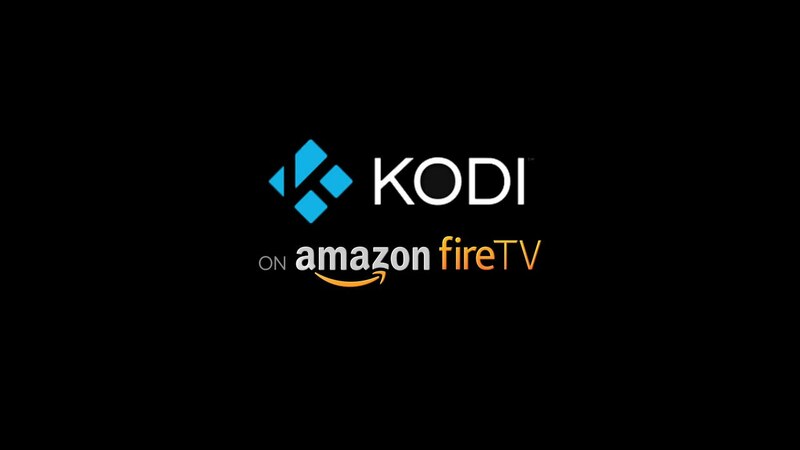 With realiable sources dwindling in Genesis this will provide a much needed option to continue to use what is arguably one of the best addons created for Kodi. To get started we simply need to enter in our user information from within the plugin settings. 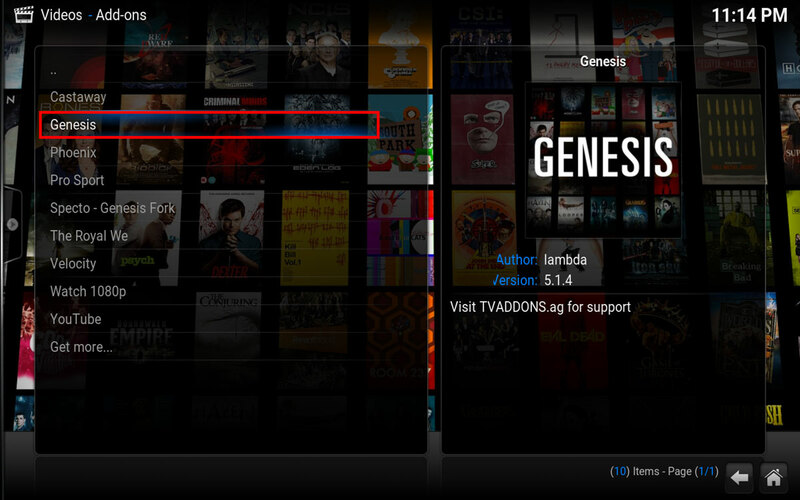 First things first, open up Genesis (or Specto) from your Video add-ons sub menu. Next we want to scroll down to the TOOLS option. Inside of tools we want to select SETTINGS: Accounts. Finally we simply just need to scroll over to the Accounts tab to confirm our details. When in Accounts scroll down until you see Real-Debrid and enter in your account information. Last but not least try to view something within Genesis (a movie or TV show). After scanning available sources you should now see REAL-DEBRID as an option like below. 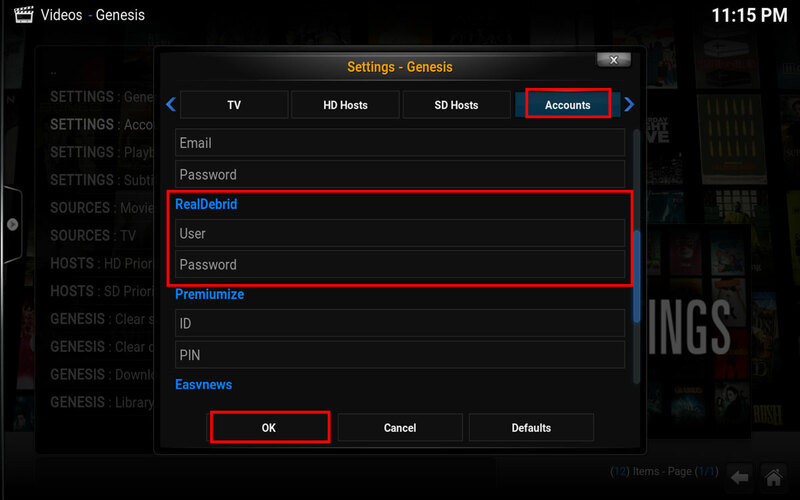 You can configure Genesis to show Real Debrid sources first should you choose which you can find in Genesis settings. 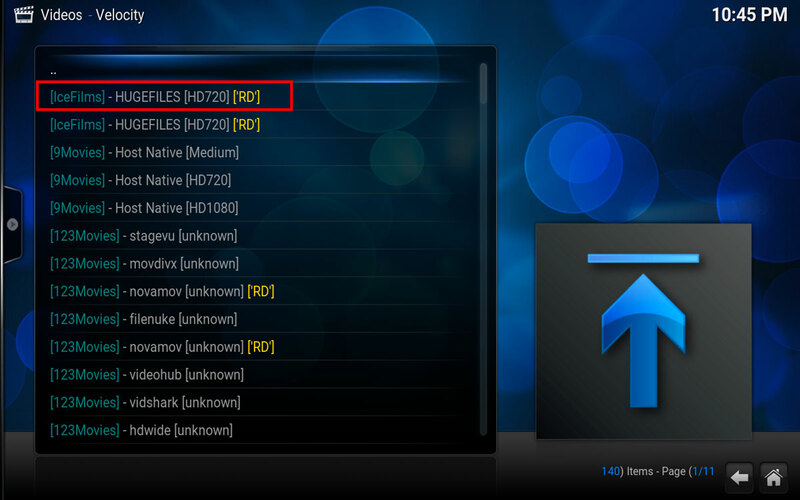 Congratulations, you’ve now just officially improved your Kodi viewing experience by leaps and bounds. Don’t forget to sign up for a Real Debrid account and give it a shot today!